Scott Hamblin was recently published by The Missouri Bar in the DWI Law and Practice, Second Edition, for authoring Chapter 1, Chemical Test Refusal Cases. The DWI Law and Practice is a reference guide primarily used by attorneys in representing their clients. The chapter authored by Scott involves the status of Missouri law in situations where deputies, police officers or other law enforcement officers have requested a person submit to a breath test, i.e. breathalyzer, or blood test after having been arrested upon suspicion of driving while intoxicated. The chapter engages in detailed analysis of Missouri’s implied consent law which requires individuals to submit to a chemical test of their breath or blood after having been arrested for a DWI/DUI or risk the loss of a driver’s license and driving privileges for a minimum of one year. Scott A. Hamblin is a shareholder at Brydon, Swearengen & England, P.C. regularly practicing in the areas of federal and state criminal defense. 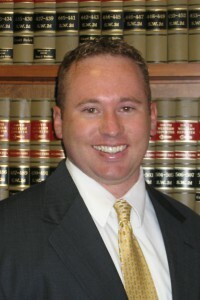 For information regarding your situation, please contact Scott at (573) 635-7166, or www.scotthamblinlaw.com.